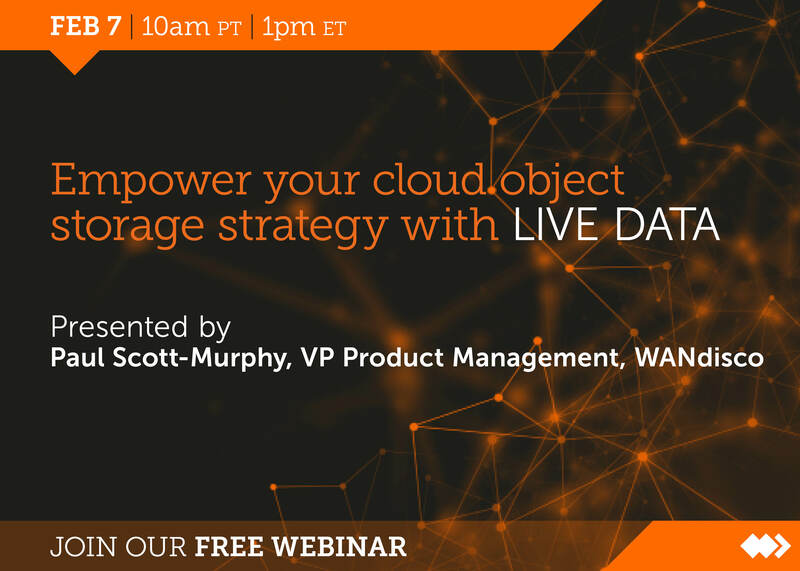 Register now to learn how to implement a cloud object storage initiative while maintaining flexibility for the future and maximizing current capabilities through a live data strategy. Learn how you can achieve continuous replication at scale between multiple Big Data and Cloud environments with guaranteed data consistency and continuous availability. Pranav Rastogi, Microsoft Program Manager, and Paul Scott-Murphy, WANdisco VP of Product Marketing, will discuss how Microsoft customers can achieve a truly hybrid architecture for on-demand data analytics and offsite disaster recovery via a single-click installation from the Azure marketplace. How to meet stringent data availability and compliance requirements whilst seamlessly moving production data at petabyte scale from on-premises Big Data deployments to MS Azure. How to save money and achieve greater ROI with no need for dedicated hardware or storage systems. How to enable data to span HDFS, object storage, and other systems. How to select subsets of content for replication with fine-grained control over where data resides. How to recover from intermittent network or system failures automatically. Learn how to get the most value from your data while also meeting strict service level agreements.